The Cunzo Law Firm, located in Fort Pierce and serving the entire Treasure Coast, is a compassionate family law practice helping clients to accomplish their legal objectives efficiently and effectively. Understanding that legal issues are never easy, especially when they involve loved ones; the team at Cunzo Law Firm is committed to helping their clients understand and protect their rights while navigating the often complex legal process associated with family law. Our singular focus is providing our clients with the best representation possible, emphasizing diligence, personal attention, efficiency, and excellence. Cunzo Law Firm is dedicated to providing their clients with services that fit their specific needs. While many clients require full representation for their legal cases, others may only call for a portion of legal services. 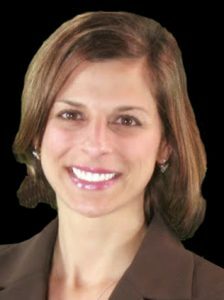 For these reasons, Kim A. Cunzo, Esq. at the Cunzo Law Firm, PLLC., offers limited scope appearances. The issues presented are the most important of your life. The sense of loss over the end of the marriage and the unknown consequences that it brings can be overwhelming. You can rest assured that Cunzo Law provides individual guidance and counsel to assist people who are faced with one of the most difficult experiences of their lives. Our firm provides a level of service to every client, whether it’s a divorce, paternity, custody, or modification of a prior order as if you were a family member. You will receive prompt responses to your calls or emails and sound and honest advice. Assisting men and women in Florida since 2006, Kim A. Cunzo, Esq. is a former 19th Circuit assistant state attorney, who prosecuted both misdemeanor and felony cases. Kim also led the family law division of another local firm. Community service and volunteering is an important part of Kim’s personal and professional life.